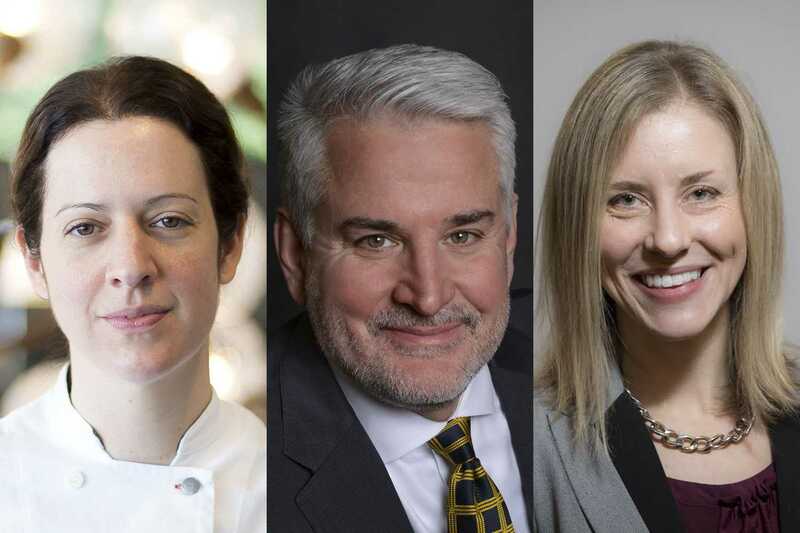 A renowned Pittsburgh chef, an LGBTQ+ advocate and the former chief of staff for Dan Gilman are currently in a race to win a spot on City Council. Gilman stepped down from his position as District 8’s councilman Jan. 3 to become Mayor Bill Peduto’s new chief of staff, triggering a special election for the now-vacant seat. The election will be held March 6. Even though the Democrats endorsed Sonja Finn, the 38-year-old chef, Sunday, Jan. 14, her opponents, Erika Strassburger, 35, and Marty Healey, 54, said they will still run as Independents. Strassburger said she was happy working at the staff level for City Council but decided she wanted to effect more change by running for the District 8 seat. “Given my experience, I believe I’m the most qualified candidate in the race and that I can continue to make progress on the issues that are most important to District 8 residents,” she said in an email. Councilman Dan Gilman publicly endorsed his former chief of staff on Twitter several times, encouraging voters to sign the petition to ensure her name will be on the ballot. Peduto also endorsed Strassburger on Twitter. If she wins the election, Strassburger said she wants to make sure there are equitable communities with housing at an array of price points, improve transportation measures and double down on “absent landlords” who create hazardous living conditions for renters and depress property values. Strassburger, who has a degree in environmental studies from Bucknell University and has worked for PennEnvironment and Environment New Hampshire, said she wants to continue to be an activist for the environment on City Council. Ray Baum — the recently retired former president of the Squirrel Hill Urban Coalition who worked closely with Strassburger — said Strassburger’s dedication to public service and good government set her apart from her opponents. Baum said people might be inclined to vote against Strassburger because it could represent a political seat in Pittsburgh the mayor has control over — given her history with Gilman. But Baum said that shouldn’t be a reason to overlook her qualifications. Finn argues, though, despite her inexperience with City Council, she makes up for it with her experience as a restaurant owner and her many accomplishments, including making Pittsburgh Magazine’s 2017 “40 under 40” list. She said she has proven she supports workers through her focus on employee welfare at Dinette — a sustainable foods restaurant she established in Shadyside in 2008. Finn also said much of her motivation comes from not only her commitment to the city of Pittsburgh, but her personal experience of being a service employee in San Francisco. Jay Wess, a former manager of Dinette and a chef who worked under Finn, said her accomplishments as a chef and restaurant owner are a result of her determined work ethic — which he thinks will carry over if she is elected in March. Like Strassburger, Finn said she plans to focus on laws for tenants to limit the amount that rent can be raised. Raising the minimum wage and making pre-K available for all young children are also some of Finn’s goals if she is elected. Shadyside resident Marty Healey, a chief financial officer at the Healey company — a real estate and construction firm on the South Side — is another candidate in the race for the District 8 seat. He is focused on making Pittsburgh a more diverse and inclusive place. As an openly gay man, Healey said he is passionate about advocating for the LGBTQ+ community — currently serving on the board of the Persad Center, an LGBTQ+ counseling center and HIV/AIDS service center. Healey said one of his top priorities as a city councilmember would be to focus on the inclusion of underserved communities — not just the LGBTQ+ community, but all minority groups. On a business level, Healey said he would focus on reworking the Pittsburgh Water and Sewer Authority and overseeing Pittsburgh’s likely exit from Act 47 — a state oversight program for “financially distressed” cities in Pennsylvania — which will enable the city to take back full control of its finances. Healey described himself as a risk-taker and as someone who is not afraid to have tough conversations with people. He also said this quality makes him suitable for the District 8 seat. “I enjoy working with folks who disagree with me,” Healey said. “I know that sounds crazy, but I really do enjoy that, because I can learn so much from them, and I think that’s a key attribute to bringing people together. Charity Imbrie, a board member for the Persad Center who worked closely with Healey, said she supports him because he is able to communicate with different sorts of people despite their opinions. “He’s also very committed to the City and making it a better place. I think he would harness that energy and passion for the betterment of the people in this City, and I think that would be a great thing,” she said. The three District 8 candidates will be at a forum Sunday, Jan. 28, from 1 p.m. to 3 p.m. at Chatham University to answer questions about their positions on public issues.